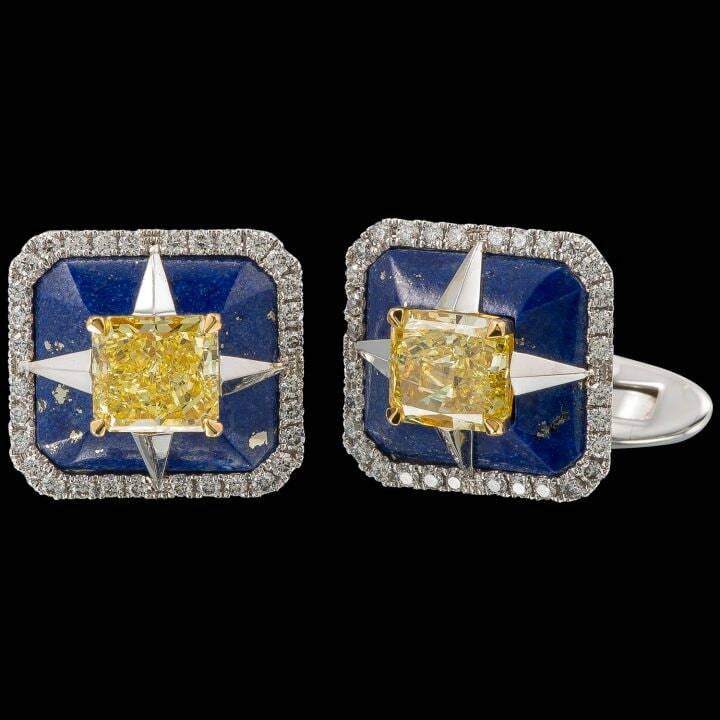 Rendering the colors of Caesar during the rise of the Roman Empire - against a Persian blue, the one-carat fancy intense yellow diamonds sparkle magnificently. 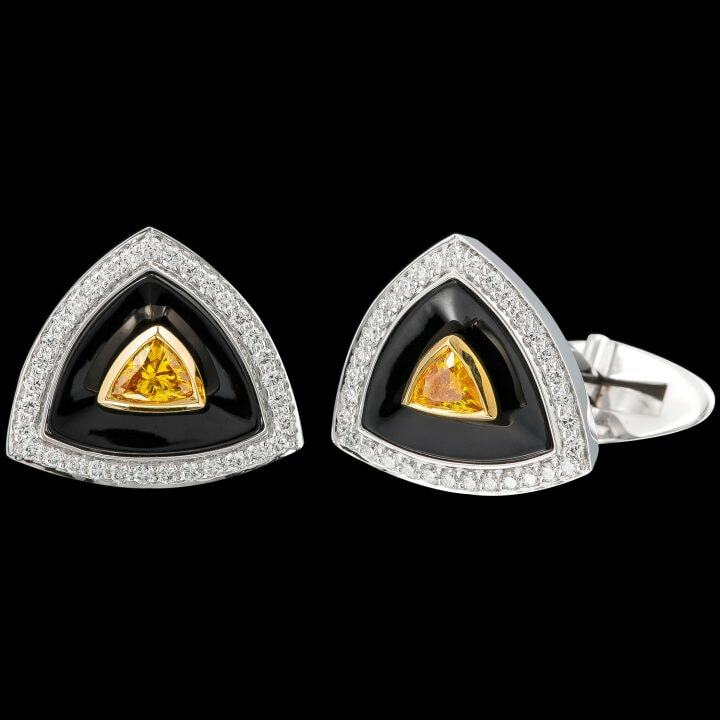 These beautifully designed, stylish diamond cufflinks bring forth images of all-seeing eye, featuring a pair of sparkling modified triangular, fancy vivid orange yellow diamonds. 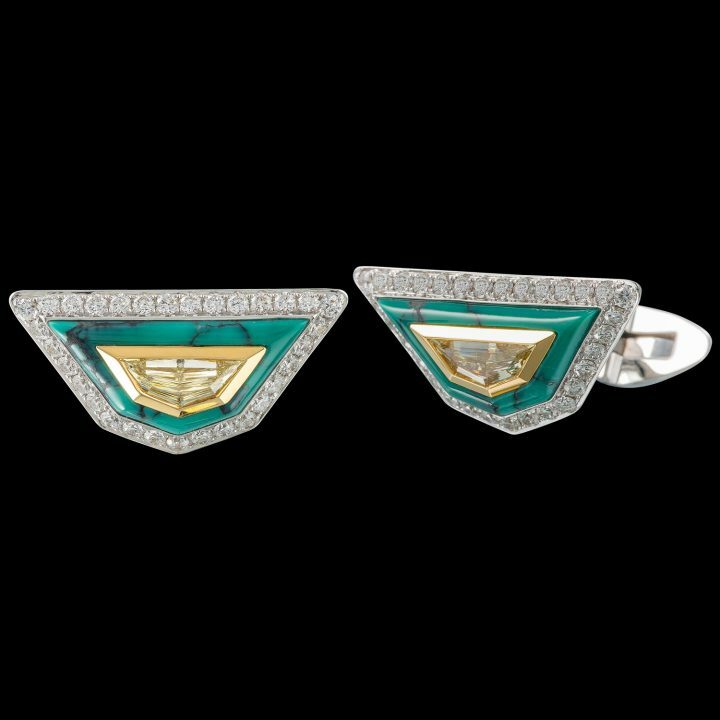 Artistic and abstract, these cufflinks were designed with an irregular hexagonal motif featuring two fancy light yellow diamonds and turquoise stones.